RB435G is end of life (EOL). Mikrotik recommends RBM33G for functional replacement. 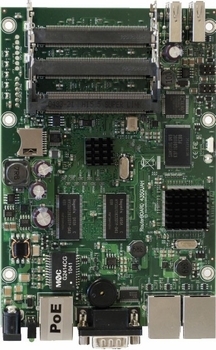 Five miniPCI slots and three Gigabit Ethernet ports give you enough connectivity options to use the RB435G as the central part of your network. Now with Gigabit ports, to properly utilize all the speed 802.11n with Nv2 wireless. Five miniPCI slots to be used for four sectors and a backbone, or any other configuration you need. The two USB 2.0 ports can be used for extending storage, adding a 3G wireless modem for backup connectivity,for a mobile installation or all together. 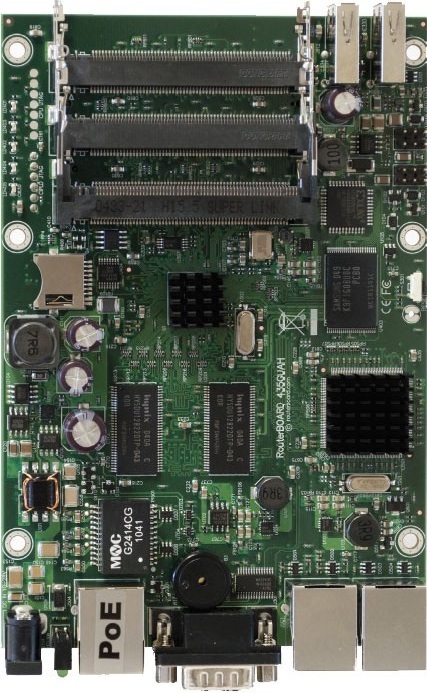 The RB435G comes with a 680MHz Atheros CPU and is preinstalled with a Level5 RouterOS license.